I can be contacted via email at orders@segaresurrection.com, or via the Sega Resurrection Page on Facebook. 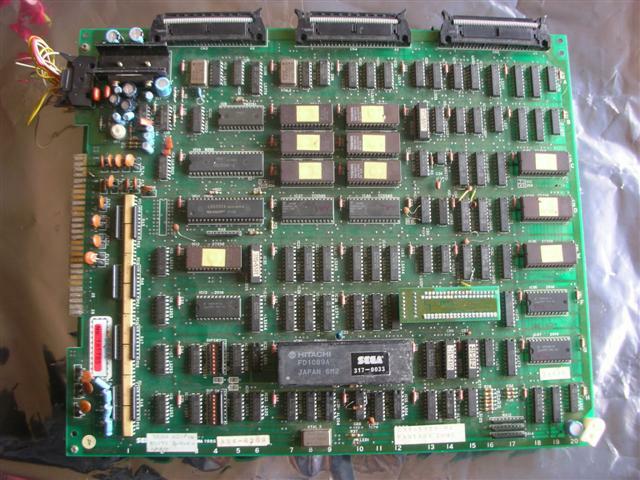 Kits can be ordered to resurrect games running on Sega System 16, 18 and X boards which have suicided, died, or just not working due to a failing FD1089 or FD1094 security processor. Even if you game is running fine, it only has a lifespan limited to the remaining charge in the battery powering the security processor.. Once the battery goes, your game will not run, even if you replace the battery in the processor. 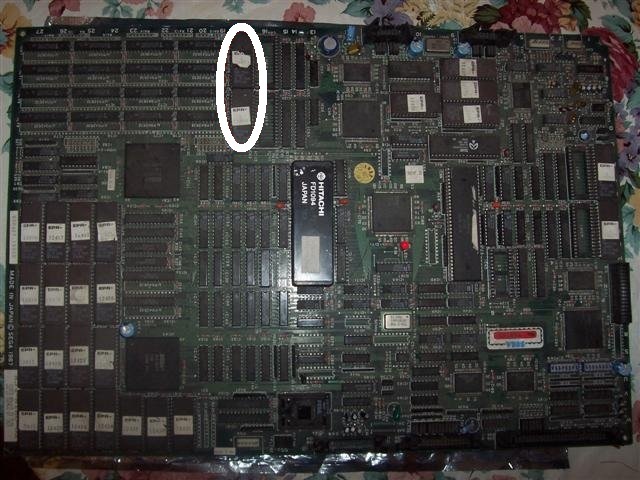 After replacing the battery backed suicide processor with a standard 68000 CPU, and changing the code eproms with the supplied roms, the game will never fail due to a flat battery. 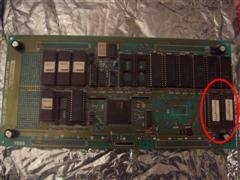 Sega in their wisdom decided to use a protection device called a "FD1094" on many of their arcade boards. 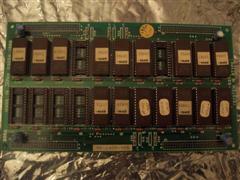 These were mainly used on games that used Outrun, System16/18/24 and X Board style pcbs. The FD1094/FD1089 replaces the standard 10mhz 68000 and contains a 68000 core, lithium battery and encryption ram which is used to hold the key which is used to decrypt the game code. 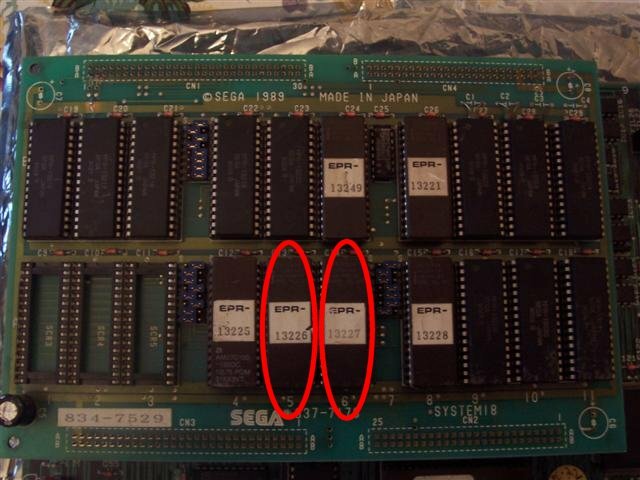 The main reason for this was to protect Sega against unlawful production of bootleg boards, and also to stop arcade operators taking the cheap option of burning a new set of roms to allow their pcbs to run the latest Sega game. Fast forward 15-20 years and these games have passed through the 'scrap bin' of operators into the hands of Classic arcade game collectors who wish to play the games they fed so many quarters/pence into as kids. Unfortunately Sega never expected their games to still be in use this far after their release, and used batteries which had a lifespan of approximately 10 years. Amazingly some of these batteries are still powering these security chips, but not for long. 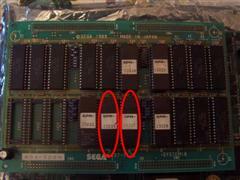 Sega also used batteries in earlier security chips and they are going flat. Once all these batteries go flat, there is no way of recovering the game code. Fortunately people have been aware of this problem and have been trying to remove the need for these FD1094/FD1089 protection chips for many years. 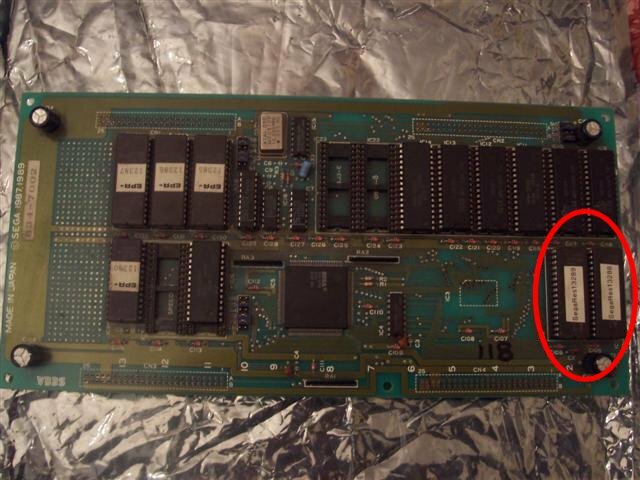 Until recently this work has been unsuccessful and the only way to revive a board on which the battery in the FD1094/FD1089 CPU has gone flat, was to utilise the code roms from a Sega game which was unprotected or bootlegged. Often Sega decided to release a version of the same game code for a different region which uses a standard 68000 instead of a FD1094, but this usually meant it was in a different language, or in the case of bootlegged games, had different title screens, copyright names removed, and in some cases parts were removed from the game because they were to hard to bootleg. 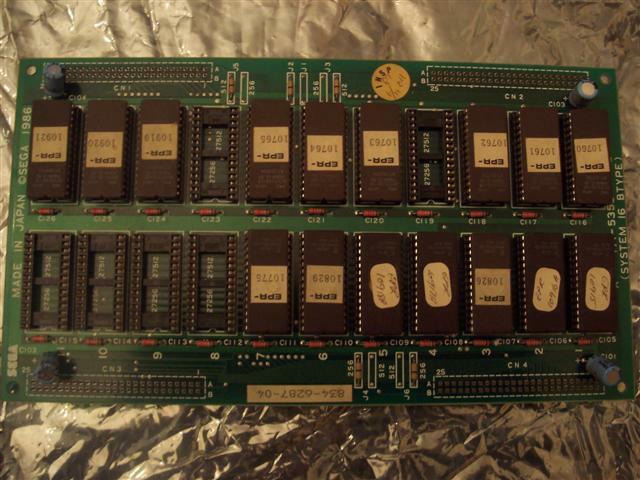 Through the work of Charles MacDonald and Nicola Salmoria, the FD1094 protection chip has been reverse engineered and games protected with this can be played on PC's using MAME which performs the decryption in real time using the original game roms. If you have a FD1094/FD1089 that is not listed or marked as 'Wanted' please contact me at wanted@segaresurrection.com and I will arrange to get the key data and program roms dumped. Once the key is dumped it will be possible to create replacement program roms. The kit replaces between 2 and 6 eproms on the rom board, and the FD1094/FD1089 security chip on the main pcb. 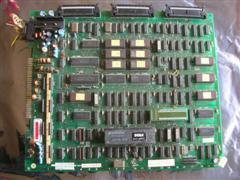 When your resurrection kit arrives, it will have between 2 and 6 eproms and a replacement 68000 processor. 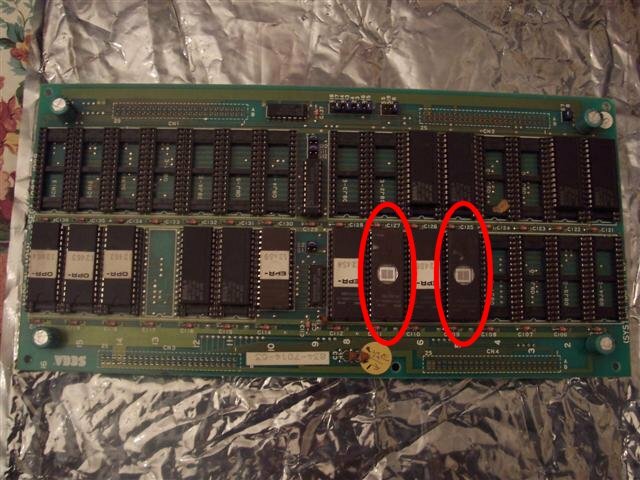 Using either an IC puller or carefully prying the chip up with a flathead screwdriver, remove the roms with the same epr number and put the supplied roms in their place. 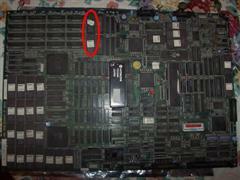 Remove the FD1094/FD1089 security processor by inserting a flat head under one end and prying it up. Then do the same with the other end. (With some games, you may need to separate the CPU and rom boards to gain access to the other side of the FD1094/FD1089). Insert the replacement 68000 CPU taking care to make sure the notch is in the right place. 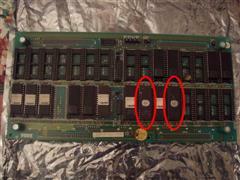 Make sure there are no no bent pins on the 68000 CPU. Now you should be able to replace the board back into the cabinet, or your test rig and power the game up. You now have a resurrected game. Which games can I resurrect? The following table shows the current games which can be resurrected and their corresponding CPU ID. If you have a FD1094/FD1089 CPU that is not listed here please contact me at wanted@segaresurrection.com and I will arrange to get the key data and program roms dumped. In return for this I will provide a free resurrection kit for your game. D. D. Crew (set 1, World, 4 Player) 317-? A single kit costs $50 USD including postage. A kit consists of a replacement 68000 CPU which goes in place of the FD1094/FD1089 CPU and 2 to 6 replacement program eproms. 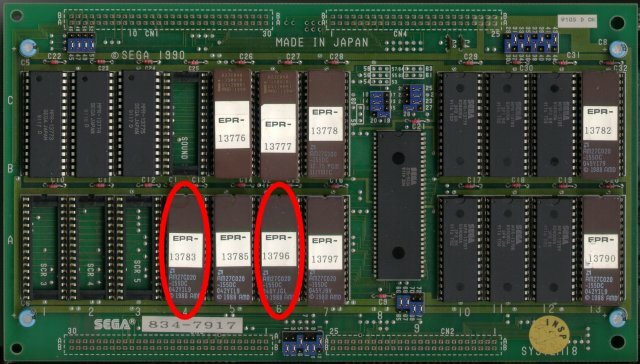 1) Locate the game code roms on your board using the following diagrams, and note the epr-XXXX numbers on the roms circled or alternatively, if the FD1094/FD1089 chip id (317-XXXX) is still readable, use this number instead. 2) Send an email to orders@SegaResurrection.com with these details, (game name, rom id's and/or FD1094/FD1089 id), and you will be sent an email confirmation saying that the game you have can be resurrected, and payment details. 3) Once the payment has been received, the kit will be shipped. A shipping email will be sent at this point and you should receive the kit within a week. 4) When you receive your kit, follow the included instructions to fit it. - Added link to Facebook page for a quicker way to contact me. - FD1089 317-0037 Alien Syndrome (set 5) added. - FD1094 317-0016 Fantazy Zone added. Thanks to Robbie Jarebica. - FD1094 317-0094 Dynamite Dux added. Thanks to David Hanley. - Two new kits added to the site. Thanks to Frans van Egmond and FrÃ©deric Canoen for providing FD1094's for Turbo Outrun (317-0109) and Alien Storm (317-0154).